Mind Lab Pro vs. Neuro-Peak pits Focus, Memory, and Clarity against Memory, Focus, and Clarity …which is more or less the same thing. 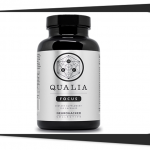 Essentially, we have two nootropic supplements that each intends to be your one-and-done brain health stack supplement, covering all cognitive bases from long-term memory to short-term energy. Smart pill stacks that you can take on the daily, trusting that the day-to-day commitment will result in a much, much better brain. Because let’s face it: you need one. But you don’t want to settle on the lesser of these two, do you. On that note, let’s read the Mind Lab Pro vs. Neuro-Peak review to get a better look on these bad bois. Mind Lab Pro and Neuro-Peak have much more in common than not, stacking up a powerful base of brain healthy nootropics. Which is perhaps the most positive opener to a comparison review you can find. 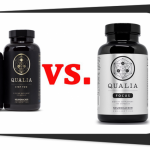 After all, even if you choose the loser between these two supplements …you’re still receiving an effective winner. And that’s pretty damn awesome. However, you’re likely not about to choose the loser of these two supplements, because you want what works best, right? 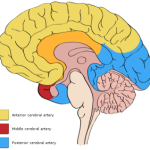 So, let’s start with the similarities and differences between Mind Lab Pro and Neuro-Peak to get a better grasp on the situation. How are Mind Lab Pro and Neuro-Peak formulas similar? Almost all of our Best 5 BIG List of Nootropics ingredients can be found between these formulas: Citicoline, Phosphatidylserine, Bacopa Monnieri, and L-Theanine — with Mind Lab Pro supplying all of these. Neuro-Peak stacks Bacopa and Phosphatidylserine, in addition to B12 and Rhodiola, which are also shared by Mind Lab Pro. The shared mix of ingredients between these products set up a nice base of cholinergic memory boosts and focus sharpening enhancement. And nary a caffeine compound or synthetic stimulant to be found in either stack. 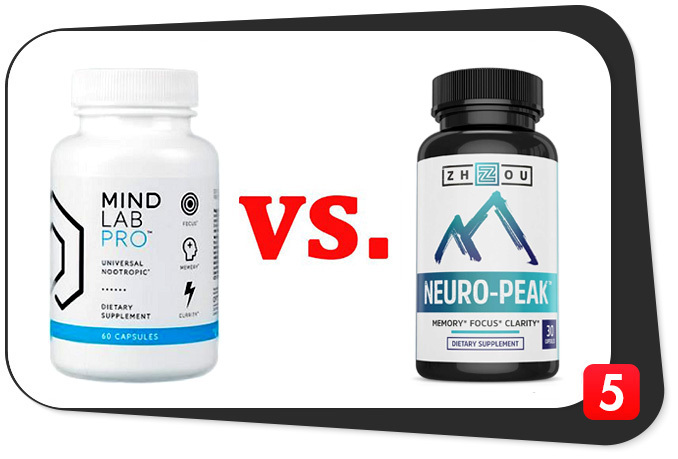 How are Mind Lab Pro and Neuro-Peak formulas different? Ingredients unique to Mind Lab Pro: BioGenesis B Vitamins, Citicoline, Lion’s Mane Mushroom, N-Acetyl-L-Tyrosine, L-Theanine, and Maritime Pine Bark Extract. And the ingredients unique to Neuro-Peak: Ginkgo Biloba and DMAE. Needless to say, Neuro-Peak essentially qualifies as a simplified version of Mind Lab Pro, with exception to a couple decent nootropic additions. Depending on how the next couple rounds pan out (Ingredient Dosages and Ingredient Quality), Mind Lab Pro may have a substantial advantage over Neuro-Peak. 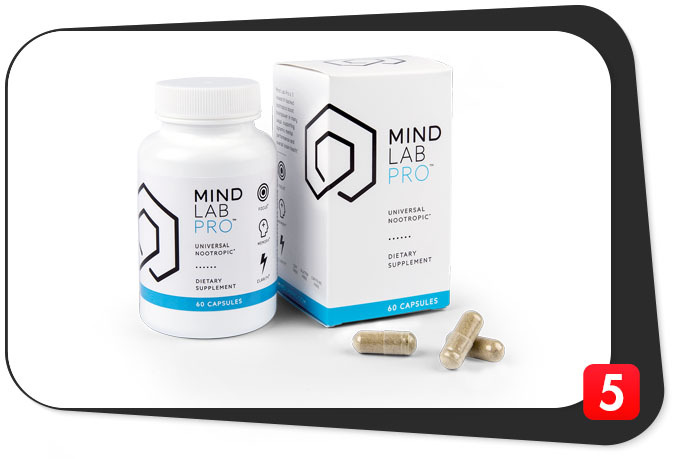 Mind Lab Pro shoots for Universal Nootropic supplement status. Targeting 100% brainpower for essentially everyone, Mind Lab Pro has attempted a one-size-fits-all nootropic stack with its diverse, high powered nootropic stack. And, frankly, we think they’ve done it. Altogether, this supplement tackles: Brain Energy, Brain Chemicals, Brain Circulation, Brainwaves, Neuroprotection, and Neuroregeneration. Through a synergy of brain energizing, creativity spiking, focus enhancing nootropics, Mind Lab Pro gears the brain for optimal competitive cognition. Neuro-Peak attempts the same with fewer ingredients. Neuro-Peak clearly knows what’s up. They know what works, and they’ve given us just enough brain boosting nootropics to get the job done. Additionally, Neuro-Peak stacks up two more unique nootropics: Ginkgo Biloba and DMAE, which hold a reputation as “old folk” nootropics. For DMAE, this might be true. However, Ginkgo also seems to benefit younger cognition as well, with its significant benefits on working memory. 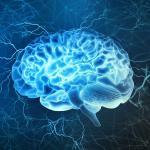 Even so, Neuro-Peak doesn’t quite hit the Universal Nootropic mark, falling just short. Whereas Mind Lab Pro brings a lot of everything for everyone. Both Mind Lab Pro and Neuro-Peak share a solid nootropic base, however Mind Lab Pro’s base nootropics are more solid than Neuro-Peak’s cumulative stack. Just because Mind Lab Pro and Neuro-Peak selected some awesome nootropics, doesn’t mean they’ll automatically enhance cognition. Many brain health supplements can talk the talk but fail to walk the walk due to poor ingredient dosages. Here’s Mind Lab Pro’s plan for getting the most out of their supplement: “Take two (2) capsules in the morning or early afternoon, preferably with food. This may be increased to a maximum of four (4) capsules in a 24-hour period. ” Depending on your needs or personal nootropic tolerance, the second daily serving may come in handy. Personal experience has found a single serving adequate at acute boosts in cognition. Yet, the two daily Mind Lab Pro servings does work best. Neuro-Peak, on the other hand, almost requires the double daily serving to get the most out of its formula. With only one capsule serving sizes (as opposed to Mind Lab Pro’s two capsules), there simply isn’t enough space in those caps for every nootropic to reach critical mass dosage. What’s more, Neuro-Peak sneaks in some rice flour as filler in those caps, which only takes up precious capsule space better spent on cognitive enhancers. Mind Lab Pro’s two capsule servings simply contain more nootropic power than Neuro-Peak’s single capsule size. Our suggestion: double down on daily servings. Let’s entertain for a moment that the perfect nootropic stack was a possibility, at least within ingredient quality terms. If true, then both Mind Lab Pro and Neuro-Peak would be solid contenders for that top spot. Across the board, we’re seeing high quality, highly potent herbal extracts, premium nootropic compounds and brands, and bio-active forms. From Mind Lab Pro’s BioGenesis™ B vitamins to Neuro-Peak’s Ginkgo biloba extract — these are simply ingredients that work. However, there’s a couple missteps that dip one of these formulas just below the imaginary “perfection” line. And those are: Cyanocobalamin and DMAE. Neither are significantly poor quality nootropics, yet the former may improve to methylcobalamin (or Mind Lab Pro’s BioGenesis) and DMAE has a better nootropic alternative: Centrophenoxine. Having said that, both formulas are of exceptional quality, hitting bull’s eyes where it matters most. So, you can’t really go wrong either way. On the whole, we’re impressed with both Mind Lab Pro and Neuro-Peak for their enhanced potency ingredient forms and clean capsules. As we already covered in the “Ingredient Quality” section, both supplements showcase high quality, premium herbal extracts and compounds. As a result, the bio-active nutrients found in these ingredients may work better and faster. Again, as we already mentioned, Mind Lab Pro does have a slight edge on ingredient quality, as Neuro-Peak takes a B12 dip. Not hugely significant, but a tiny dip nonetheless. In terms of “label cleanliness,” Mind Lab Pro impresses with its vegan, patented Plantcaps® Pullulan caps. And Neuro-Peak takes on a less impressive, non-vegan, gelatinous, rice filler capsule design. Mind Lab Pro has slightly more enhanced nutrient potency as compared to Neuro-Peak, in addition to those squeaky clean plant capsules. Depending on where you buy Neuro-Peak, that price may slightly differ — although, generally not by much. Mind Lab Pro, on the other hand, only sells through its manufacturers, Opti-Nutra. As such, what you get is what you get in terms of pricing. Having said that, Opti Nutra does provide several order options for Mind Lab Pro, essentially reducing the price per serving the more bottles you buy per order. The best deal: 3 boxes + 1 free box + shipping for $195. If you’re doubling down on Neuro-Peak servings, as we advised, then their price per serving obviously doubles. Even so, $1.40 per (double) serving isn’t a bad deal. Certainly worth it. Mind Lab Pro sells at various buying options that get better the more boxes you order. Yet, Neuro-Peak is undoubtedly the cheaper option between the two. Mind Lab Pro vs. Neuro-Peak: Which is Better? If you’re on a budget, go for Neuro-Peak until you can afford Mind Lab Pro. Go for Mind Lab Pro. 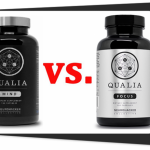 Both nootropic supplements in this match up supply some smart, hard-working cognitive enhancers that are well worth the investment, regardless of your age or needs. However, there’s no doubt at this point: Mind Lab Pro is the greater stack here. Perhaps you want that Ginkgo. Or maybe you’re big on DMAE. Awesome. Go for Neuro-Peak, if that’s the case.